A blog that's all about video games…except for when it isn't about video games. I beat Mass Effect 3 last night (spoiler free). It was certainly interesting. I had been exposed to so much anti-hype before even starting the game that it was hard not to be worried about the whole thing, but I found the story of the game to be incredibly satisfying throughout. Some of my favorite characters died, some didn’t, but I thought all of them got pretty satisfying conclusions to their story lines. I was shocked at times, and actually cheered at others. Jacob’s was perhaps a bit boring, but that might just be because he was a character I always found boring. It reminded me a lot of the final Harry Potter movie, which was pretty damn satisfying for people who cared about the series. I thought the conclusion was great, but perhaps that’s because I only really think about gameplay when I talk about endings. The final level felt every bit as desperate and epic as I thought it should be, and the final decision was pretty damn difficult because there was no clear answer. I ended up choosing something for reasons that felt pretty personal and unique to myself. The only thing I didn’t really like (aside from the new quest log, but I’ll skip that) was the final cut scene that happens after your final decision. My mind kind of turned off at that point because I always feel like a game is over the moment you stop playing it, and my life is packed with a long history of bleh cut scenes at the end of games. I thought it was fine at first, but when I started thinking about it again today there were three very specific things that bugged me about it (which I won’t discuss). One problem was a character issue and two were science fiction hiccups. Still, this sequence of events that lasts only a few minutes isn’t something that particularly bothers me. I view games as an interactive form of entertainment and whatever happens outside of that scope often doesn’t matter at all. I spent dozens of hours with the characters in Mass Effect and was glad to see their journey. No lackluster video is going to steal that from me. Bioshock’s lazy CG endings never hurt my experience with the game nearly as much as the final level did. Half-Life 2’s cliffhangers never deleted my previous fun. The crappy text crawl at the end of Dragon Age didn’t stop me from remembering the game fondly. 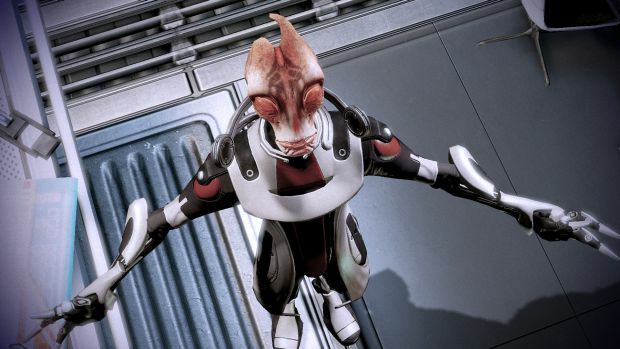 In preparation for Mass Effect 3 I played the first two games once again back to back, and I was actually shocked by how appallingly uninteresting and even cheesy their endings were. Their final endings, anyway, not the last levels which left a much larger impact. How could I be shocked? Because ultimately a non-interactive sequence at the end of a game isn’t what I remember when I think back to it. I remember my final showdown with Saren and my suicide mission on the Collector base, not what came after. For that same reason I’m going to remember the struggle to fight the Reapers for the sake of Earth, not what came after. I’m one of those people that thought Return of the King should have ended with Frodo and Sam on the side of the mountain after the big ending rather than have the running time stretched out by a long chain of scattered, colorful scenes. If Bioware were to change anything about the ending I would only want it to be a bit more accurate to how certain characters would behave. I’d also like it to hold the previously established science fiction more closely. Aside from that? I’m happy. Thanks for the experience. This entry was posted on April 1, 2012 at 6:46 pm and is filed under News, Ideas, & Rants with tags bioware, Commander Shepard, Ending, Garrus, Jacob, Mass Effect 3, Mordin, Wrex. You can follow any responses to this entry through the RSS 2.0 feed. You can leave a response, or trackback from your own site.